My road to pastry-art began at a young age. In between drawing, painting and sculpting as a child I would practice baking. My career officially began as a caterer for small parties. 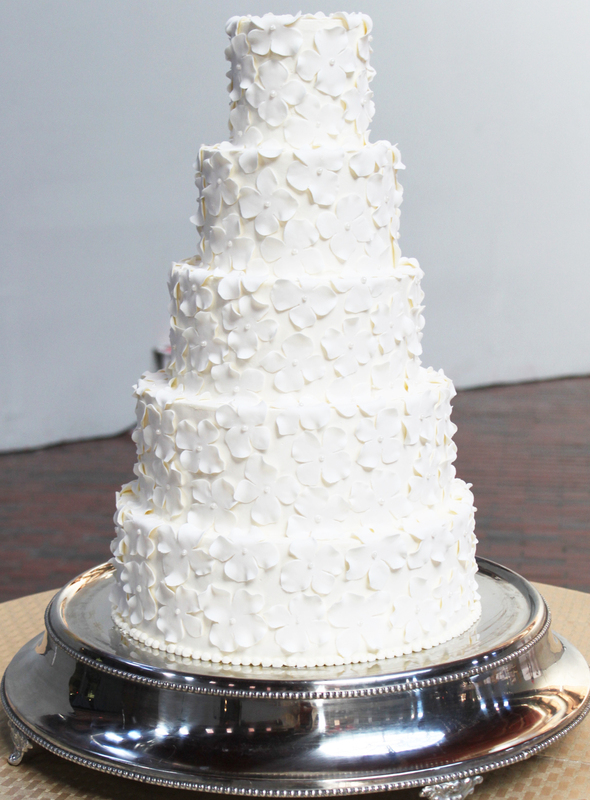 It wasn’t until I created a wedding cake for a friend that I discovered my life’s passion. It is the perfect combination of my love of art and passion for pastry. Design possibilities are vast and unlimited. 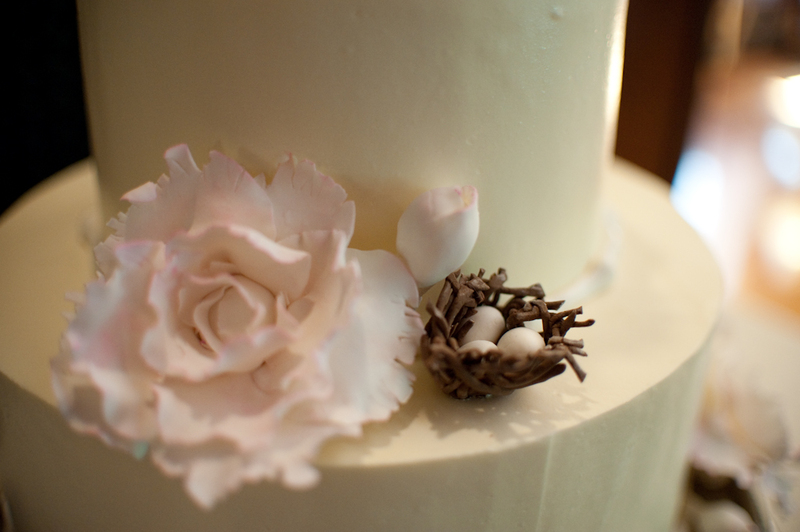 Our cake designs are often inspired by art, nature, fashion and architecture. Every wedding has its own distinctive style. And we make your cake to reflect the style of your wedding day. 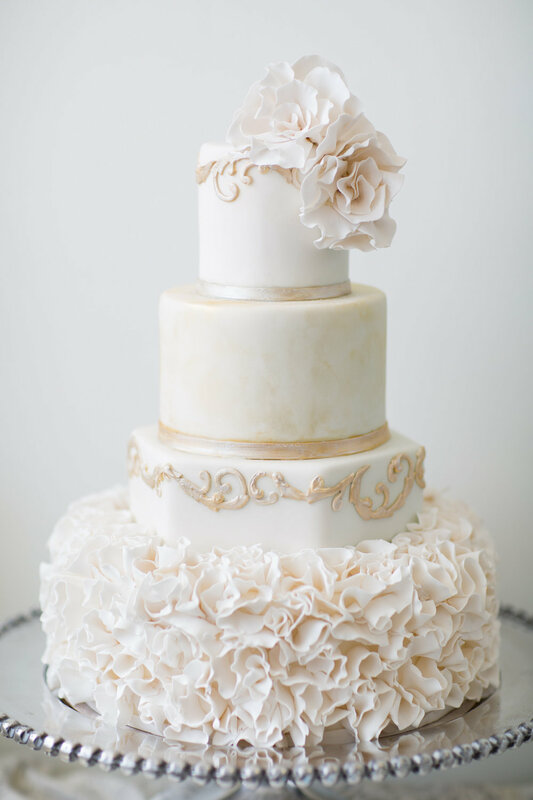 With our talent and expertise, we will share creative ideas to help make your cake, and your day, EXTRAORDINARY. Design is in the details. 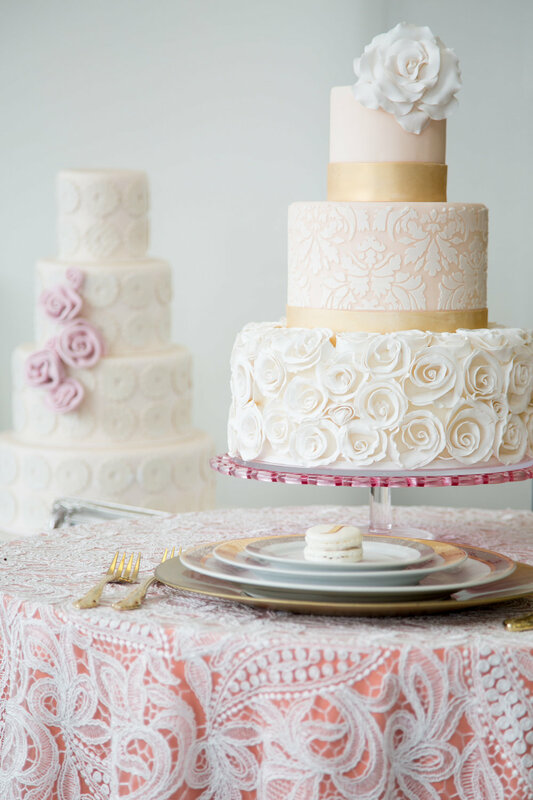 From colorful fresh flowers on a buttercream cake to our hand-formed sugar flowers on a rolled fondant cake, from whimsical themed cakes to white cakes, we will listen to you and to create your vision with your style. The more details, the better: fabric on a gown, just the right shade of pink in a flower, a favorite china pattern, what ever it is that is meaningful to you. To see a variety of our cake styles. I could not have done the things that I have done with out an inner passion for baking and the creative spirit that goes into making something that is truly one of a kind. You have always heard the expression "it's what's inside that counts". Incorporating an element of surprise is an important part of making our creations more memorable. This is achieved by combining unexpected flavors in our cakes. Jenny makes an amazing Banana Cake layered with caramel butter cream, vanilla custard, fresh sliced banana and homemade pecan pralines. Celebrating? How about a creamy champagne filling paired with fresh raspberries all tucked within a light vanilla sponge cake. We agree! We like to think of our cakes as being opened like a present. 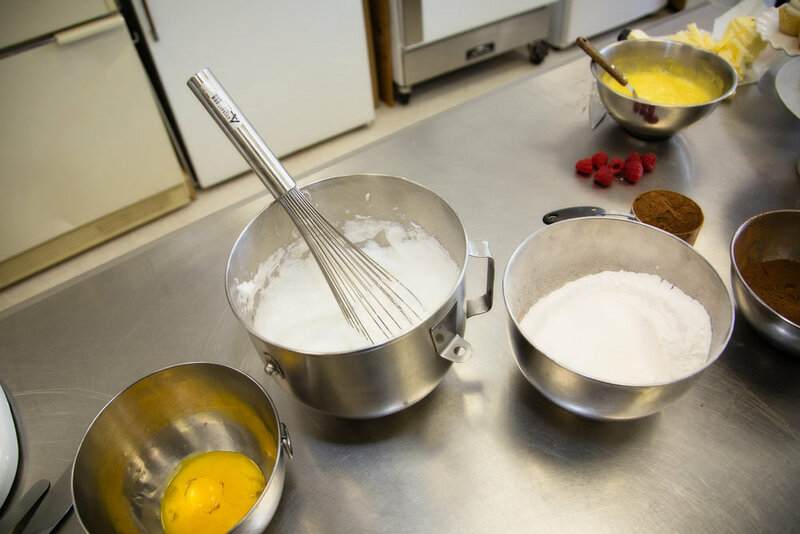 Every cake that we make is made from scratch using only the freshest and finest ingredients. We use Belgian chocolate, French style butter and cage free local eggs. Since every cake is made to order and in small batches we are able to accommodate special requests such as gluten free, dairy free and nut free cakes. We can also bake with organic flour, eggs and butter upon special request. We have even used personal family recipes to represent a special family member or a certain ethnicity. We offer a wide range of flavors and our menu is ever changing so please inquire for a detailed and current menu. I don't want to be a mass production bakery. I want the ability to maintain a boutique style bakery where the customers expecations are always exceeded and their senses tickled. Our personal approach to being a part of a wedding is one of the aspects of our business that sets us apart. We not only take an interest in the wedding details but I personally find myself connected to so many of our wonderful clients and their families. 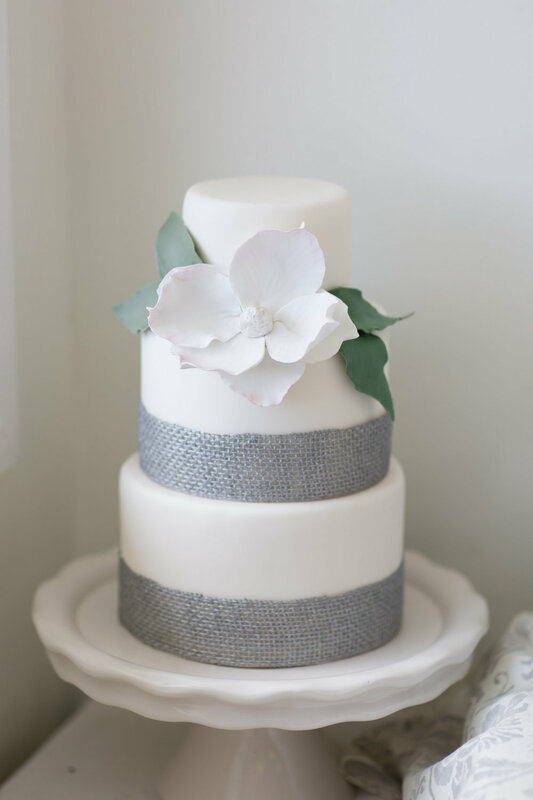 It is the connection with our brides and grooms that help us incorporate personality into each wedding cake helping to make each event more memorable. My studio and bakery are available by appointment only. I pride myself on extraordinary confectionary delights, delivered with extraordinary customer service. You are cordially invited to CONTACT me with any questions or concerns regarding your event. I am based north of Boston, but I am available through out New England and beyond. PURE. SWEET. JOY.